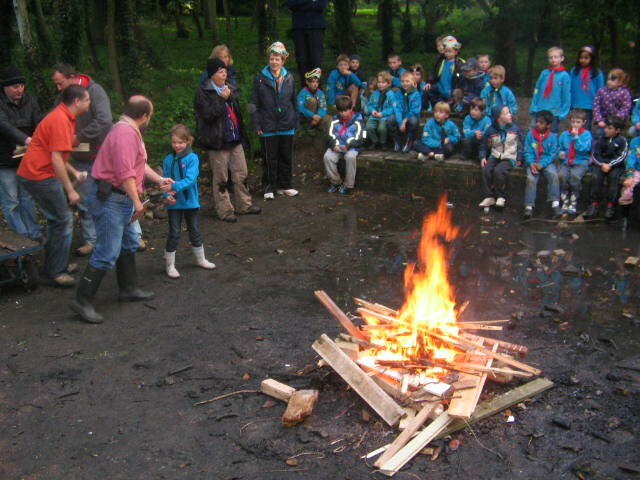 Every autumn we join the Beaver Scouts from across the Cambridge City District for CAMBAD. One of the first years we went we chose "Pirates" as our theme. We were rewarded for walking the plank (obstacle course) by receiving a tattoo. Who stole Brown Beard's gold? Orienteering around the campsite to find the Treasure Chest which was filled with chocolate coins! 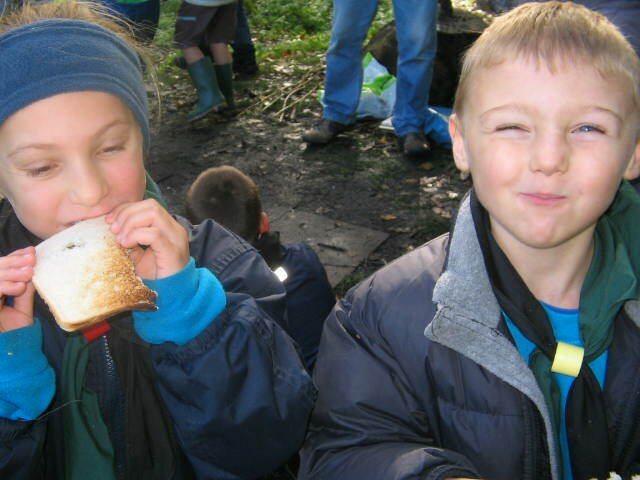 We then had our Pirate Grub: sausage, mash and beans and swiss roll and custard. 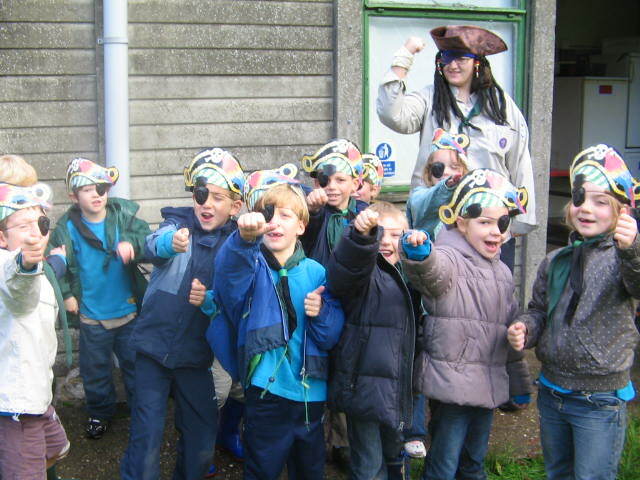 This was followed by a wide game, all the Beavers played a game of "Pirate" style cops and robbers. After our picnic tea we had a brilliant campfire with lots of songs, including "Head, Shoulders, Knees and Toes" and a Beaver version of "Singing in the Rain"!